When you’re looking for things to do in San Marcos, CA, don’t overlook the plethora of great dining options. Thanks to San Marcos Restaurant Row as well as all the other places throughout town, you can easily find a place to grab a bite. Check out the best San Marcos restaurants below before making your next reservation! Step inside Mama Kat’s Restaurant and you’ll be surrounded by a fun atmosphere, delicious smells, and friendly people. Along with traditional menu items like homemade hash, grilled cheese sandwiches built to order, and chicken burgers, you cannot pass up a piece of their fresh-made and well-known pie. Close to Carlsbad, enjoy traditional Lebanese recipes when you visit Ara Lebanese Grill. In addition to dining in and getting fresh food right to your table, you can also opt to pick up your food or have them cater your next event. The Bellows delivers upscale dining with farm to fork menu options. Open for lunch and dinner and a quick drive in from Escondido, this is the perfect place to head for date night or when you’re just looking for a different place to dine. If you’re in the mood for authentic Mexican cuisine, head to Cocina Del Charro in San Marcos Restaurant Row. This family-owned and operated restaurant has been in the area for nearly 40 years. Perfect for lunch and dinner, this location is also family friendly and delivers a comfortable atmosphere with home cooked food at a fair price. When you’re interested in a laid-back restaurant where you can dine on great food and enjoy local sports, 55 Yardline is a great choice. With plenty of food specials, multiple beers on tap, and a fun environment, you’ll find yourself coming back often. Looking for a great steak restaurant near Vista? Try Old California Mining Co. In addition to delicious steaks, they also offer other main dishes, including chicken and seafood. Perfect for date night, be sure to make reservations. We hope you try out some of our favorite San Marcos dining options! Need more local recommendations? 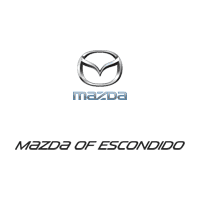 Contact Mazda of Escondido to learn more about the area and find fun things to do in Escondido, as well as find some of the best breweries in Vista!